The Central Iowa Hospital Corporation, d/b/a Iowa Health-Des Moines (IH-DM), established the Rural Iowa Telehealth Initiative to deliver affordable healthcare to Iowans living in rural and medically underserved areas. The initiative also offered training and educational opportunities for the rural healthcare workforce. IH-DM provided an introduction to telemedicine presentation for shift leaders and staff members working in IH-DM Emergency Department facilities and women’s services. IH-DM also placed telemedicine equipment in physician offices, including specialties such as cardiology, neurology, and podiatry. Clarke County Hospital, a rural partner, had 10 specialty clinics this quarter that improved care access to the inpatient population. 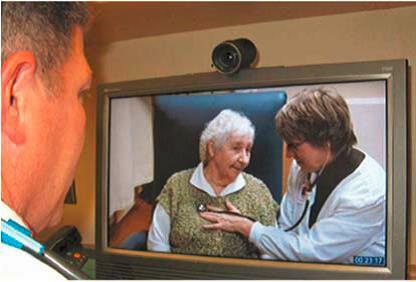 The placement and adoption of telehealth equipment also has enabled family members of inpatients to participate in medical visits and meetings. Additionally, IH-DM deploys equipment, broadband connectivity, and support to community serving institutions, including the Southwestern Community College (SWCC). SWCC has made educational opportunities more accessible by offering distance learning classes, saving students a 60-mile commute. As of June 2013, IH-DM has recorded more than 80 new business and community anchor institution subscribers, including medical centers, EMS units, and provider clinics.